In the next two chapters we will present a solution to the H ∞ control problem as formulated in the previous chapter. 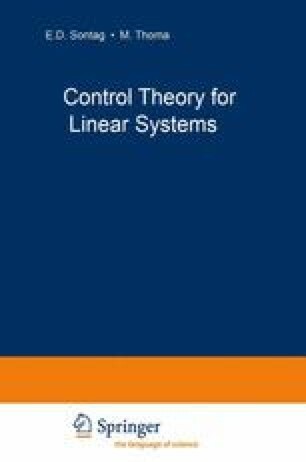 In this book we will present a time-domain oriented solution of the H ∞ control problem. A main advantage is the great similarity with the techniques used for the solution of the H 2 control problem.